The Zimbabwe government says it is considering drastic measures of door-to-door HIV testing campaigns for every citizen in the country in a move to try and eliminate new HIV infections. This has been revealed by Health and Child Welfare minister, Dr Henry Madzorera. He spoke on Thursday at the closing ceremony of the four-day second national conference on HIV and Aids held in Harare. “This conference marks a significant milestone in ending this global injustice and the beginning of the road for Zimbabwe to reach the target of reducing MTCT (mother-to-child transmission) to less than five percent by 2015. We must actively promote HIV testing and counselling until every Zimbabwean knows their HIV status. This is the starting point of elimination. With the need for each of us to know their HIV status, we must be innovative and embrace new approaches such as the know your HIV status campaigns through door-to door testing,” he said. Dr Madzorera said all pregnant women should have access to antenatal care, HIV testing and counselling. Speaking to journalist after the conference, Dr Madzorera said the door-to-door campaign strategy was a way forward in eliminating HIV and Aids. “The way we test HIV should be (like) the way we test malaria and other diseases. When we get to that stage, then we will conquer,” he said. The director of the TB and Aids unit in the Ministry of Health and Child Welfare Dr Owen Mugurungi said the nation should be brave enough, innovative and accept strategies like the door-to-door testing. Speaking in June, at the United Nations General Assembly High Level Meeting on HIV & AIDS, Dr. Henry Madzorera, Zimbabwe’s Minister of Health & Child Welfare highlighted Zimbabwe’s achievements in the fight against HIV/AIDS over the years, the current status of HIV/AIDS in Zimbabwe, and the challenges that still remain ahead. Dr. Madzorera indicated that due to the Zimbabwe government’s commitment towards fighting HIV/AIDS, HIV prevalence had dropped from a high of over 29% in 1999, to the current level of 13.7%. The decline in prevalence has also been accompanied by a decline in incidence. He also highlighted Zimbabwe’s progress thus far towards achieving universal access to HIV/AIDS resources, noting that the country now provides 77% coverage for the nearly 593 000 Zimbabweans in need of various HIV/AIDS resources and services. 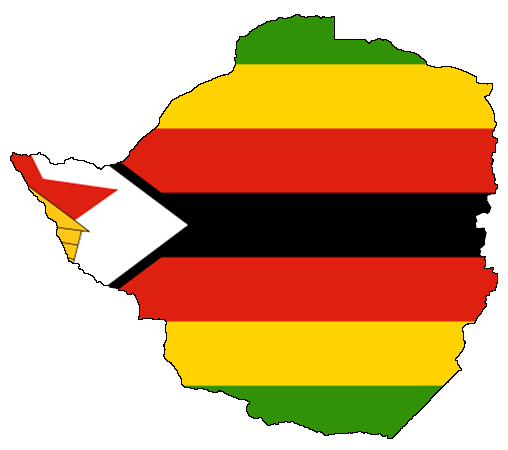 Zimbabwe recently adopted the new World Health Organization treatment guidelines which recommend starting antiretroviral therapy (ART) at CD4 counts of 350, instead of the previous 200. Adoption of this new standard meant an immediate rise in the number of people in need of treatment. Dr. Madzorera pointed out that Zimbabwe has seen an increase in access to care for children, with the number of children accessing ARV drugs doubling in the past two years alone. After crediting Zimbabwe’s home-grown multi-currency financial environment for recent progress made in the purchase of antiretroviral drugs, CD4 counti machines, HIV test kits, blood its, and the funding of outreach campaigns, Dr. Madzorera pointed out that the country’s pursuit of universal access to care and services for its HIV/AIDS patients is set to benefit from the recently developed results-based Zimbabwe National HIV and AIDS Strategic Plan for 2011 to 2015 (ZNASP II). Dr. Madzorera pointed that amongst other things, the plan prioritizes Prevention of Mother to Child Transmission (PMTCT) as well as Male circumcision (MC). This entry was posted in Uncategorized and tagged Henry Madzorera, testing, United Nations General Assembly, Zimbabwe. Bookmark the permalink.